Last major update issued on June 6, 2006 at 04:10 UTC. The geomagnetic field was inactive to quiet on June 5. Solar wind speed ranged between 323 and 359 km/s (all day average 345 km/s - down 51 km/s from the previous day). Solar flux measured at 20h UTC on 2.8 GHz was 77.9. The planetary A index was 4 (STAR Ap - based on the mean of three hour interval ap indices: 4.0). Three hour interval K indices: 11100211 (planetary), 11112311 (Boulder). Region 10892 developed further and was quiet. C flares are possible. 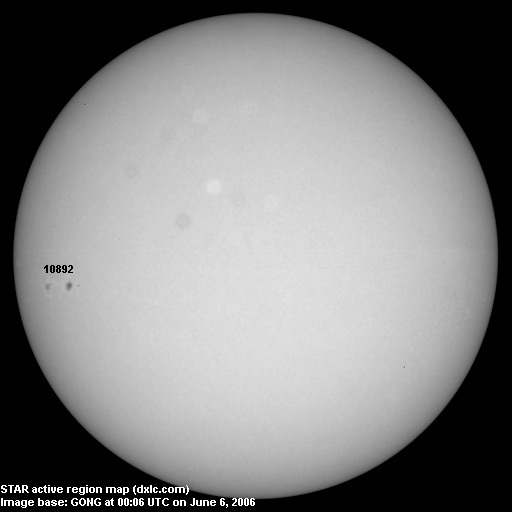 June 3-5: No partly or fully Earth directed CMEs were observed in incomplete LASCO imagery. 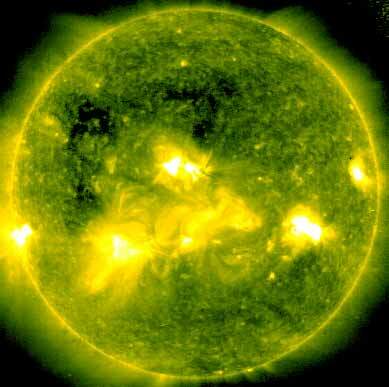 A recurrent coronal hole (CH227) in the northern hemisphere was in an Earth facing position on June 4-6. 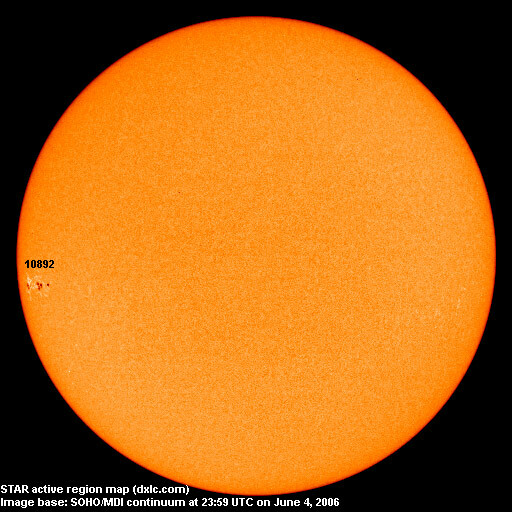 The geomagnetic field is expected to be quiet during the first half of June 6. A high speed stream from CH227 could arrive during the latter half of the day or on June 7. Quiet to minor storm conditions are likely when the stream arrives and until June 9. Long distance low and medium frequency (below 2 MHz) propagation along east-west paths over high and upper middle latitudes is poor to fair. Propagation on long distance northeast-southwest paths is fair to good. Trans Atlantic propagation conditions are normally monitored every night on 1470 kHz. Radio Cristal del Uruguay and Radio Vibración (Venezuela) were both audible during the night. On other frequencies stations from Brazil had the best propagation with several good signals around. 1510 WWZN was the only North American signal identified.